The Delta chapter was established in 1849 at Burlington College in Burlington, New Jersey and transferred to the University of Pennsylvania in 1854. The national organization was founded in 1847 at Columbia University by John A. Anton and Charles A. Budd. 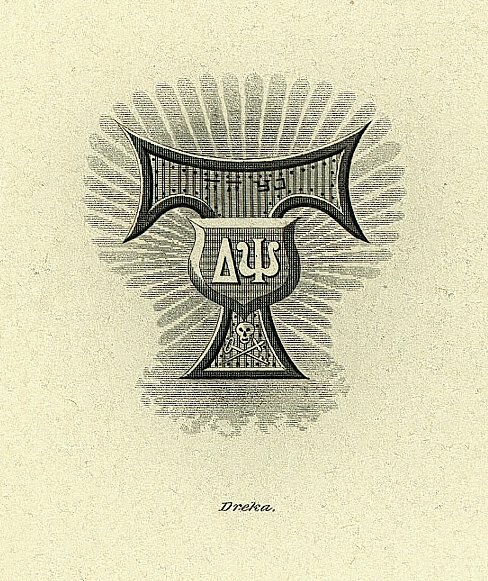 In 1872, the year Penn moved to West Philadelphia, The Record described Delta Psi as nineteen members strong. The Delta chapter remains active at Penn in 2003. Penn’s Delta chapter was Delta Psi’s fourth, following Columbia (1847), New York University (1847), and Rutgers University (1848). The Delta chapter, however, did not become associated with Penn until additional chapters had also sprung up at Trinity College in Hartford, Connecticut (1850), South Carolina College (1850), Princeton (1851), the University of Rochester (1851), Brown (1852), Williams College (1853), Randolph Macon College (1853), and the University of North Carolina (1854). The Civil War, however, closed all the chapters located in the South. In 1940 there were only nine chapters nation wide. Warren Livingston, Caleb Harrison Condit, and William Croswell Doane were the founders of the Delta chapter, but they were associated with Burlington College, not with the University of Pennsylvania. Two other students at Burlington College, Charles Willing Littell and William Cushman Avery, became members of the Delta chapter in 1850 and 1852, respectively, and then enrolled in professional schools at the University of Pennsylvania. When the Burlington College administration took strong measures to suppress Delta Psi, Littell and two of his 1852 Burlington College classmates proposed the transfer of the Delta chapter to the University of Pennsylvania. This was formally accomplished in December 1854. Andrew Charles Barclay (A.B. 1859); George Tucker Bispham (A.B. 1858; LL.B. 1861); George Washington Carpenter (Medical Department Class of 1858); John Christian Cornelius (Class of 1857); Charles Field Haseltine (Class of 1859); George Gillson Klapp (Class of 1858); Emlen Trenchard Littell (A.B. 1856); Henry George Morton (A.B. 1857); Thomas George Morton (Class of 1854; M.D. 1856); and Charles Henry Wilson (M.D. 1857). 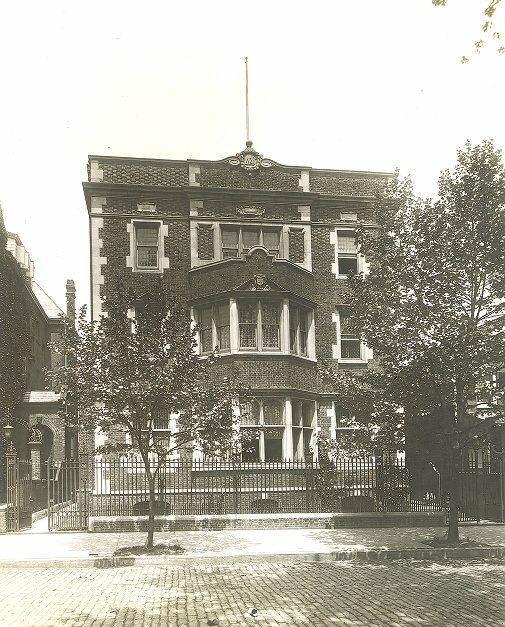 Professors Brownlee and Thomas, in Building America’s First University, have noted that in 1888, Delta Psi was the first fraternity at Penn “to have its own purpose-built house, a Wilson Eyre, Jr.-designed palazzo on 22nd Street across the Schuylkill.” When it was opened in January 1889, it was known as St. Anthony Hall. 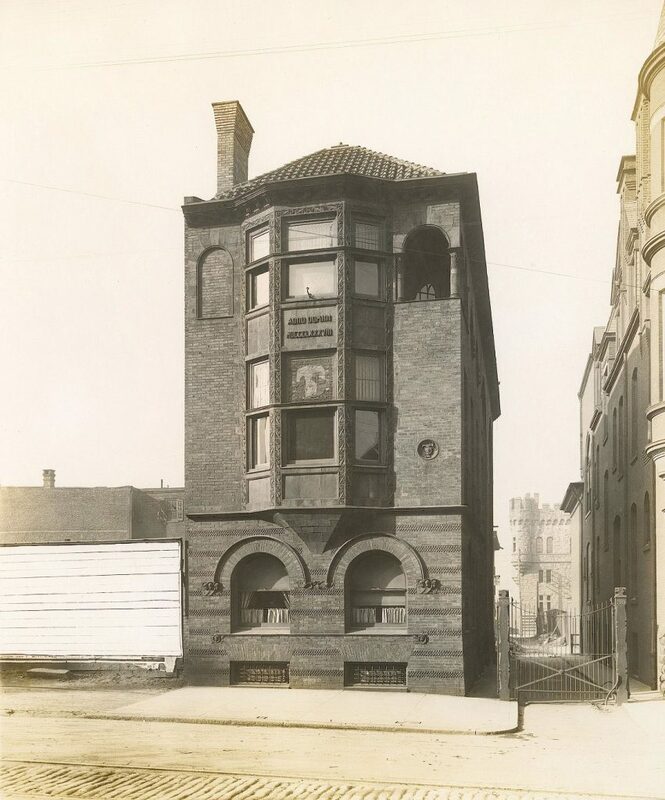 In 1907 the Philadelphia architectural firm of Cope and Stewardson designed a new house and it 1908 it was built at 3637 Locust Walk. Delta Psi rented a house at 3328 Walnut Street from June 1908 to June 1909 and then occupied its new house. In 1997, Penn’s Delta chapter was the second oldest active chapter among the ten chapters then in existence. It is also one of only three all-male Delta Psi chapters nationally, the other two being those at the University of Mississippi and the University of Virginia.